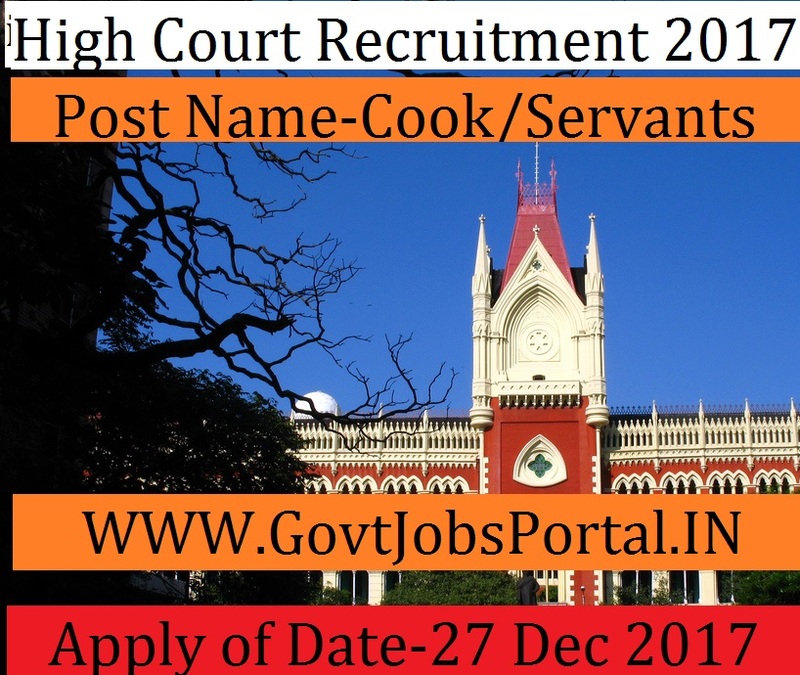 High Court Recruitment 2017 Cook/Servants & Various Vacancies. - Govt Jobs Portal-सरकारी नौकरियों High Court Recruitment 2017 Cook/Servants & Various Vacancies. 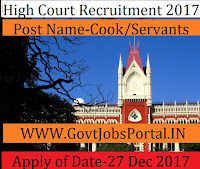 High Court Recruitment 2017 Cook/Servants & Various Vacancies. High Court is going to recruit fresher candidates in India for Cook,Servants,Frras,Gardener Collector rate 4 class posts. Total numbers of vacancies are 50 Posts. Only those candidates are eligible who have passed in their 8th class examination with 50% marks. Applicants who are interested in these Govt jobs in India must meets with the following age criteria: “18 to 35 years”. Those who meet with all eligibility criteria will be selected on the basis of their performance in the Screening test and Interview. We explain the whole criteria related to these Govt job below in the same post. Read the whole article carefully before applying. Educational Criteria: Candidates have passed 8th class Examination with 50% marks or its equivalent or 10th Class Pass from a recognized Board. Age Criteria: Eligible candidate’s age should be up of 18 to 35 years as on the last date of receipt of application. For SC/ST candidates the age relaxation is 5 Years. While the age relaxation is 3 years for OBC Candidates. Applicants who meet with all eligibility criteria related to these Govt jobs will be selected on the basis of their performance in various round of selection. The various rounds of selections are as follow: Screening test & Interview. What is the Application Fee for these Govt Jobs in India? Unreserved Candidates have to pay Rs. 200/- and Rs.100/- for Reserved through Credit Card or Debit Card or Internet banking. What is the Procedure to Apply These Govt Jobs? 01 Nov. 2016 is the Starting date to apply online.